EDL toll: You can't have your cake and eat it too. Oppositions complained over announced "toll rate" for EDL but it is free for use to Johoreans and help reduced traffic jam in Johor Baru. For PKR and DAP politicians to oppose the VEP or new toll rates at the CIQ, it shows ignorance in governance and an irresponsible politicking that does not serve the interest of the nation. The English idiomatic proverb, "You can't have the cake and eat it too" means one cannot or should not have or want more than one deserves or can handle, or that one cannot or should not try to have two incompatible things. The proverb's meaning is similar to the phrases "you can't have it both ways" and "you can't have the best of both worlds." Conversely, in the positive sense, it refers to "having it both ways" or "having the best of both worlds." The Malaysians or Singaporeans working in Singapore, earning Singapore income and pay Singapore tax, yet living in cheaper Johor Baru but using Singapore registered vehicles cannot have it both ways. They can't have the cake and eat it too. So pay up. In the last few years, Malaysians loves to adopt a western style argument to claim their rights to be concern as taxpayers. Rightfully so. However, Malaysians forget that their livelihood is filled with subsidies from a government policy from the Merdeka days to control inflation and make living affordable. For them to talk as taxpayers, do these Malaysian pay more tax than the benefit they received? For some group claiming to pay more tax than others, are they a major contributor of tax? The widely held believe is that they are the biggest evader of tax by not declaring their revenue, participating in illegal underground activities and laundering the illegal money that distort market mechanism. Rumours have been gong around since early July that MAS is going to be restructured. [Read The Star here]. 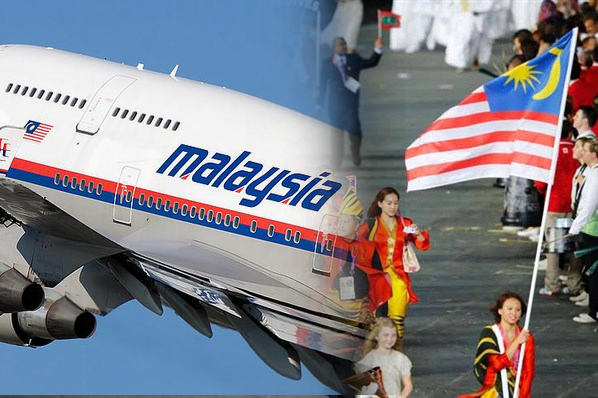 Stockbrokers have been quietly recommending a BUY on MAS to take advantage of the plunge in shares arising from the alleged shooting of MAS MH 17. The price is too low vis-a-vis it's asset value and MAS has a better asset backing than lean mean Air Asia. The rumour that it will go private has reached the ears of Wall Street Journal. Supposedly another turnaround plan will be proposed after Raya. Yes, everything will be after Raya. 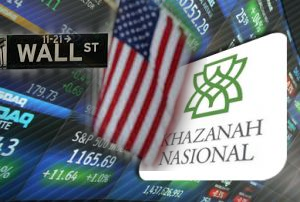 Most likely, Khazanah Nasional will offer a General Offer and take charge privately like it did to hide the true financial status of UEM. With the same hands that wrecked it in the first place at the helm of Khazanah, serious doubt they can pull off another "turnaround". Few DAP leaders and one of their wives may have made lots of stupid statement in trying to gain political mileage and get themselves whack for being unsympathetic. However, Dato Seri Anwar Ibrahim was just short of being a stateman with his statement showing compassion and support for the family of victims and government. 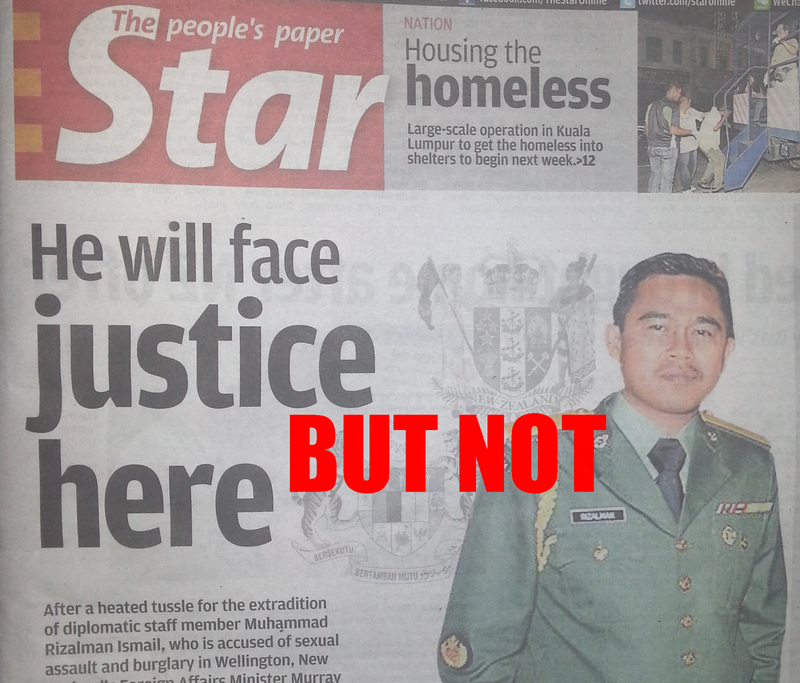 [Read here and The Star here] Hopefully, he will show compassion without the pre-fix com- to Saiful. His statement dated July 17th said so and he gave support to Dato Najib in parliament today in the debate. The idea to have a motion to unite the country is far from a stupid idea from any advisers but a necessary move in settling international dispute. Anwar was careful as to not blame any parties in his statements. While he was on roll, he should not have tried to act smart and got his facts embarassingly wrong under the spot light of the whole world. It means her victory enable the Malaysian flag to be seen on the winners' podium. 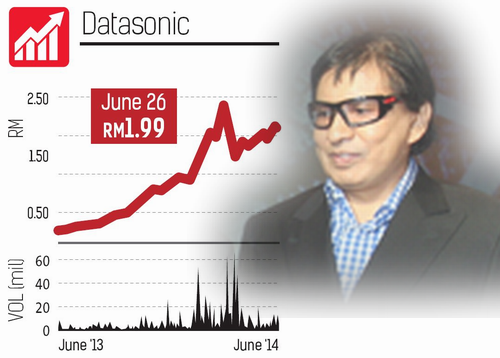 It certainly raised the profile of Malaysia and that has brand value says advertisers. The subsequent 2010 event had a media value of USD175.8 million. Facebooker, William Cheah expressed his anger to the unpatriotic treatment by some segment of the public to a badly wounded 77-year old flagbearer of the country. He was talking out of patriotism but had he put it in dollars and sense, only then the pubic could realise the real value of MAS. Anyone watching CNN from the night of the incident without any suspicion and pondering over the CNN motive, they would have taken the bait hook, line and sinker. Not only they are now convinced that MAS and only MAS was negligent in thinking the L980 route across southern Ukraine, they are now suckered wholesomely to believe that the Russian-backed Ukrainian rebel soldiers were the culprit. CNN and Western media motive to blame the Russian is too obvious to take any of their words as credible. 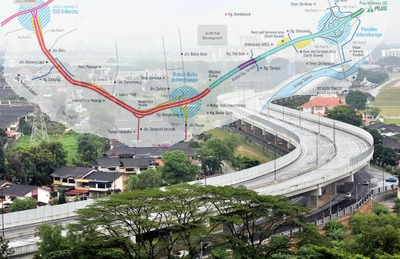 SIA took same "risky route"
When Minister of Transportion, Dato Liow Tiong Lai was giving his statement to the press yesterday, the TV and PC was set on CNN and Free Malaysia Today. 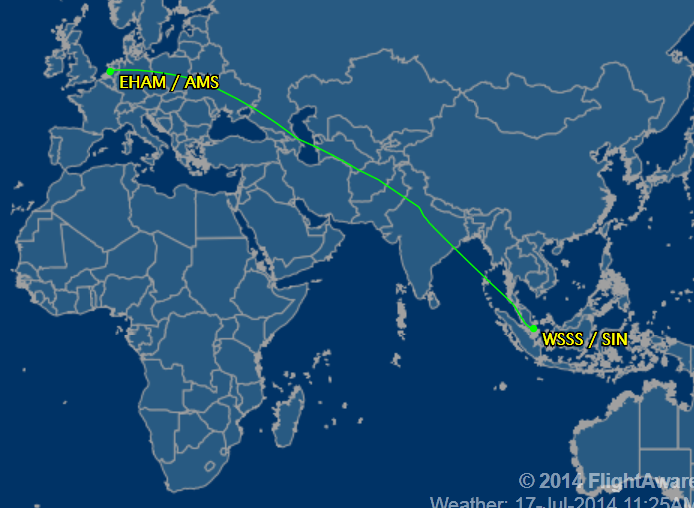 "The flight path taken by MH17 was approved by the International Civil Aviation Organization, and by the countries whose airspace the route passed through. And the International Air Transportation Association has also stated that the airspace the aircraft was traversing was unrestricted. 15 out of 16 airlines in the Association of Asia Pacific Airlines fly this route over Ukraine. European airlines also use the same route, and traverse the same airspace. In the hours before the incident, a number of other passenger aircraft from different carriers used the same route. 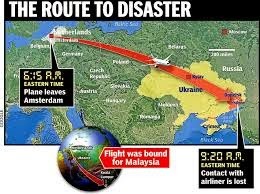 There were no last minute instructions given to the pilots of MH17 to change the route of the flight." It didn't take an hour for CNN to brush off the Minister report and had a so-called expert to comment and accused MAS for not taking the precaution. FMT published a doubt creating article, "Why were commercial planes still flying over Ukraine?" at 5:32 PM. 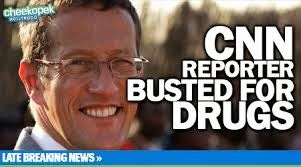 Why some Malaysians are idiot enough to fall for CNN crooked reporting? First of all, condolence to the family of the deceased affected by MH17 conveniently accused by CNN was shot down by Russian aided Russian Ukranian separatist. After the horror and despair of undergoing the disappearance of MH370 four month ago, why MAS again? In the MH370 incident, opposition took a week before starting their blame game on an unexplained phenomenon which puzzled the whole world. However, it is hardly 24 hours but opposition leaders, pro-opposition portals and ridiculously over critical pro-Government blogs and social media are blaming MAS and indirectly to the government and eventually Dato Najib. The line of argument used was why did MAS took the "war torn" route. Three foreign ship captain involved in the smuggling of subsidised diesel was charged at Session Court of Kota Tinggi Johor yesterday. Johor is the hotbed of human trafficking and smuggling activities involving subsidised fuel, control food items, and cigarette. In the presence of honourable Salawati binti Jamhari, Myanmar Kyaw Zay Yaa, Thai Pak Bunk Long and Indonesian Hasanul Idris were charged under regulation 3 (1), Regulation of Controlled Supply (Peraturan 3 (1) Peraturan Kawalan Bekalan). 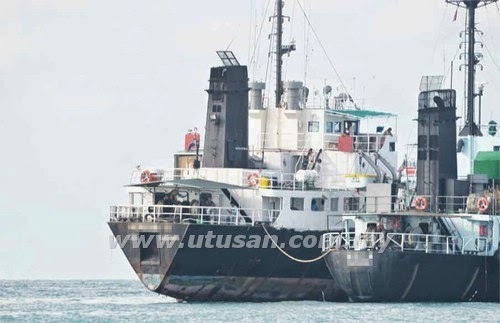 Except for the Thai ship captain, the other two captains admitted guilt and will pay fines of RM100,000 failing which they will face a one month prison term. The ship and goods are confiscated by the Malaysian government..
Dear friends if u support this message below please put it in your blogs and facebook n twit this call the best u can - DPSB on behalf of women's groups n women united on this call. 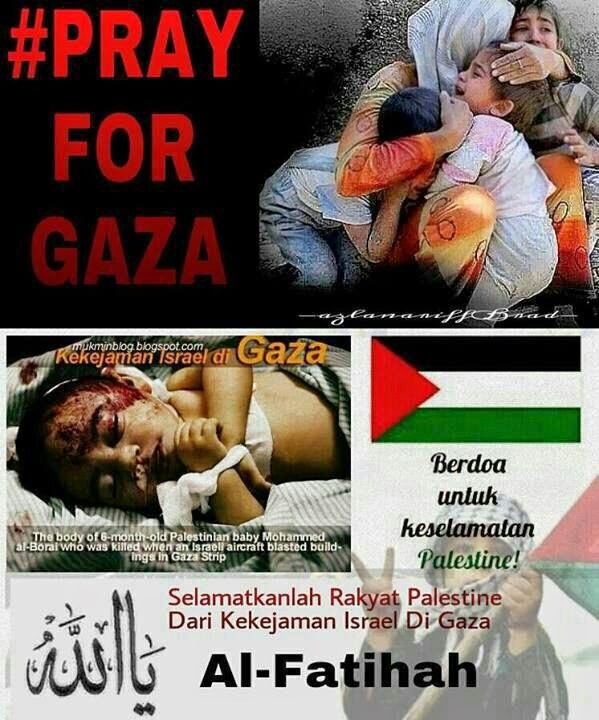 We Malaysians call upon our Government through its Envoy to the United Nations, to urge the UN to demand for an immediate ceasefire on Gaza and impose a UN-wide embargo on all trade with Israel. At one time, this blog was carrying stories and series of a corrupt mamak Minister. Not too long back, there was a tip-off that one mamak government high official took bribe for the construction of university campusses but got himself promoted. It sounded similar to the stories of the first Director for ESSCOM whose name suddenly disappeared from the public. He was an Immigration high officials who was heard to be charged for corruption but ended up inappropriately promoted by someone high up in Home Ministry. Yesterday one former MP tipped us off to a website which exposed the naughty side of another mamak government high official. 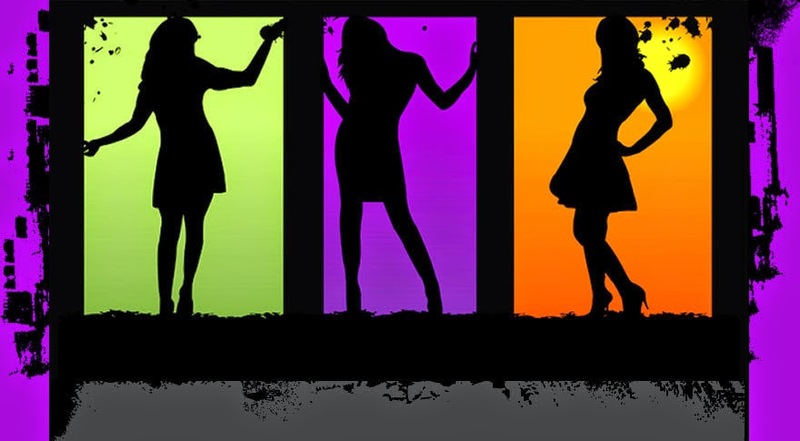 Usually we would not give a damn to a person's sleezy private life but since it involved a high government official, it could lead to other implications. Hmmm ... mi goreng mamak and pasembor sounds appetising for buka puasa today. 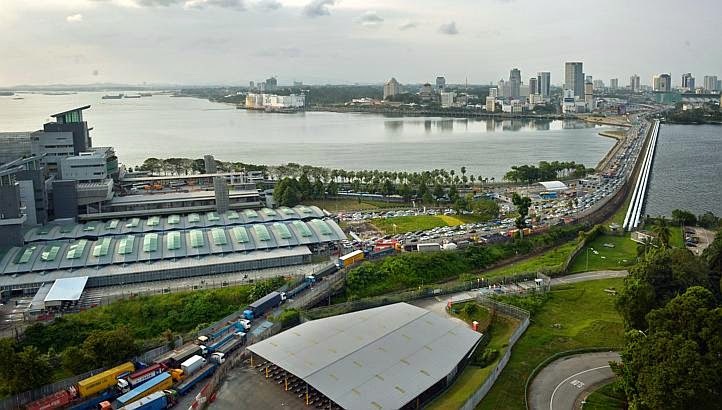 That move is heard to have invited complains by Singaporeans and Malaysians driving SIngapore-registered cars, whose vehicles swarm the Johor Baru immigration checkpoint on weekends and also weekdays, except the morning and evening working day rush to and from Singapore. It is too embarassing to lose in the manner that Brazil did this morning. From the 10th minute, Germany seemed to be pounding in goals every 10 minutes in he first half. By the time it is 0-2, it was practically over for Brazil and they just crumbed to pieces. Fans watching the game were not focus on the game any more but entertained by the jokes and pictures going viral on the social media. 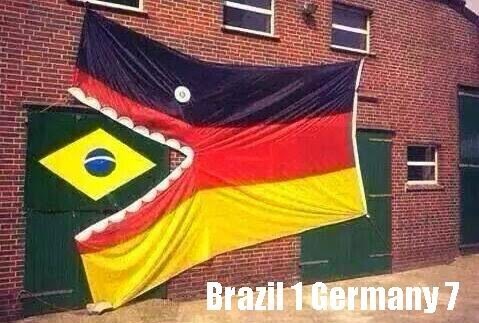 It only added to Brazil humiliation. It is unlikely for Argentina to crumble to Holland in the same way with the presence of Lionel Messi. Holland's defense need to be steady for the two twin strikers of Holland, Arjen Robben and Robbie Van Persie to be effective in counter attack. The Orange may not win but just do not get squashed. In these days of instant communication and distribution of information, the embarassment is instantaneous and perpetual till the next "kangkung" comes along. 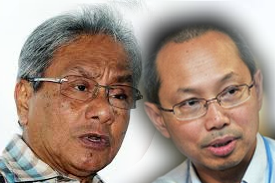 One top UMNO position holder with position nearing the post of President is playing games with Opposition. In fact, there is a veteran UMNO leader also playing games with Opposition hoping to gain or more precisely to buy Sabah and Sarawak MPs at few million each. Half down and half later after vote for motion of no confidence is delivered. However, we will not talk much of the veteran UMNO leader but just of the UMNO position holder. 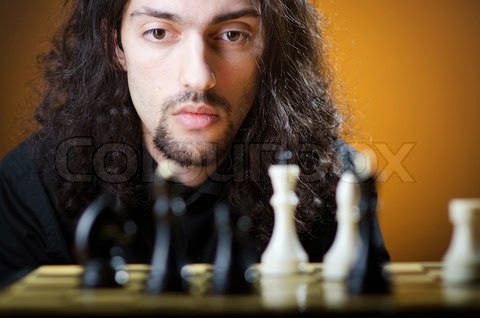 He is making his move now. Sila forward kan kepada keluarga anda, rakan-rakan dan orang tersayang. The message is not true but the belief is strong that Fuelsub House Sdn Bhd and Dataonic Berhad consortium ("Datasonic consortium") will get the fuel card contract. If the message is true, there is no need to change MyKad because their plan is issue another card for more money obviously and Pos Malaysia is their partner to get it deliver to all "qualified" Malaysians for more money, off course. The nature of the fuel card plan is suspect and mired with many dubious past and present relating to Datasonic and the consortium. Why a Minister arrange for Datasonic to meet KPDNKK officers? Our source tipped us with an information that late Wednesday afternoon one Minister brought the Fuelsub House Sdn Bhd-Datasonic Berhad consortium people to brief the Ministry of Domestic Trade and Consumer Affairs (KPDNKK in short) officials. This is strange and inappropriate. Currently, we are fasting despite dehydration and experiencing cough, runny nose and diarrhea, However, the little black mole at the tip of our nose is a beeper that could alert us whenever that there is smell of collusion. It is unprecedented but it happened. 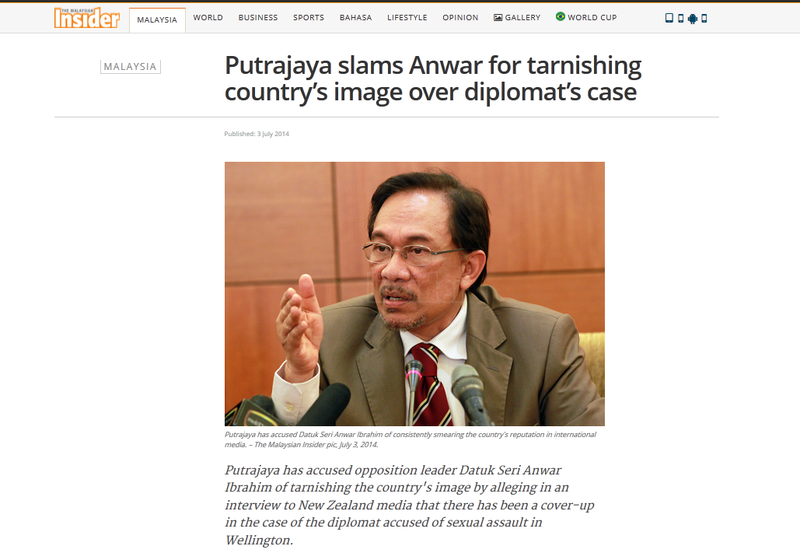 Pro-opposition news portal, The Malaysian Insider put up a report with a heading and content criticising Dato Seri Anwar Ibrahim strongly for the unprecedented act to prematurely criticised the government handling of the Malaysian diplomat row with New Zealand. How easy for Anwar to take the side of foreigners vis-a-vis our own country. MI quoted from Wisma Putra's statement that he attempted "to opportunistically damage Malaysia’s reputation for personal political gain". Perhaps Leanne Goh may have got away seditously spinning and pre-empting interfaith issues bbut not on this issue. In the earlier posting here, it is mentioned that a decision was not decided and the Malaysian Government is still looking at the various options, including extradiiting the diplomat, Mohamed Rizalman Ismail back to New Zealand. If it does not answer your curiosity, then you would understand that it would not be fair to subject foreign diplomats to our preventive laws like Sedition Act and former Internal Security Act. The concerned diplomat, Muhammad Rizalman bin Ismail, is a a defense attache from MINDEF at the Malaysian High Commission in Wellington. He was brought to New Zealand court in May but seek diplomatic immunity and had returned to Malaysia. 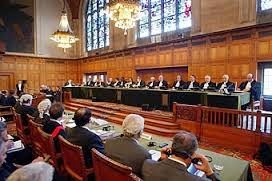 Until a decision by the court or the result of an official enquiry made, the initial reaction to allegation of burglary as reported by New Zealand media seemed far fetched. New Zealand is a country practically neighbouring Robert Murdoch's Australia which is reknown for it's underhanded and sensationalised journalism. 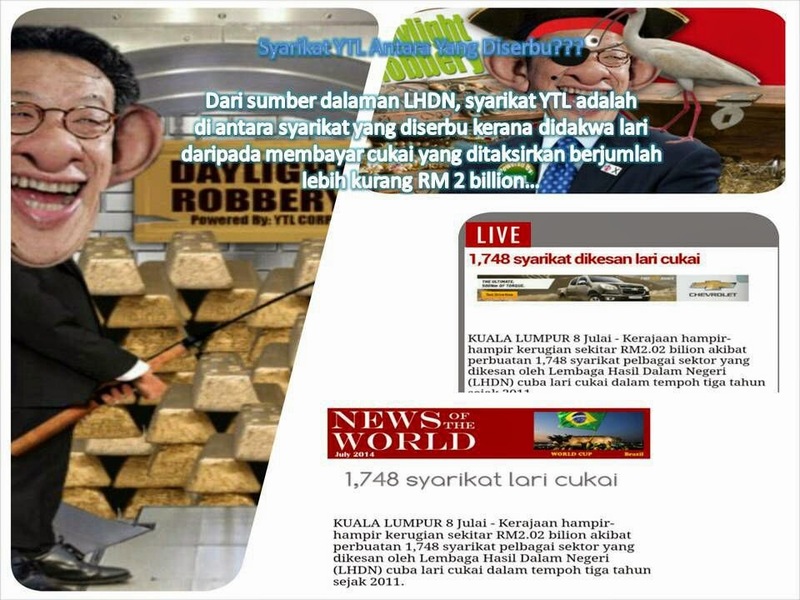 They seem to be doing a typical "Rupert Murdoch" style of media slandering on Malaysia.